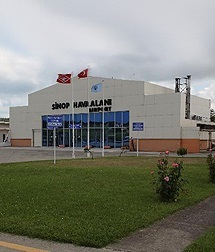 Sinop Airport opened in 1993, although closed in 2001 remained that way for 7 years. Sinop Airport re-opened to air traffic in 2008. If you require reliable, comfortable and affordable transport to and from Sinop Airport you can make a booking in a few easy steps by clicking on “Transfer Planning”. If you wish to make a telephone booking, you may speak to our dedicated and efficient call center staff members on +90 216 688 54 00. Please click for Sinop transfers.